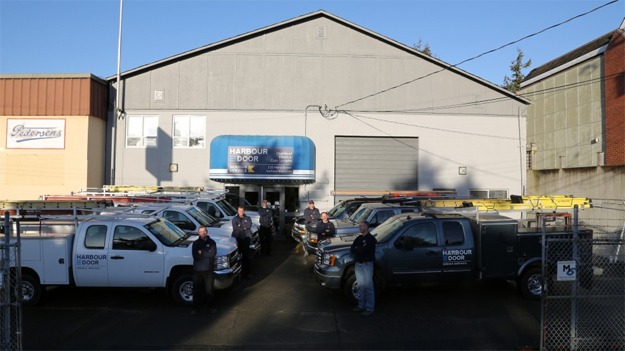 Harbour Door Services is your #1 source for Residential Garage Doors and Commercial Overhead Garage Doors, Electric Operators and a wide variety of related products. From new construction to renovation or remodeling, you can rely on our Serious Service professionals to look after all your service and maintenance needs. There is a garage door to suit every home. Whether your home has a traditional look or you require a more contemporary design, we can offer you a product that will blend beautifully with your home’s exterior. There have been some very exciting new trends in the residential garage door industry in the last five years. We are pleased to offer you an extensive range of products, from the low maintenance efficiency of the pre-finished steel door to the unique look of a custom Carriage House wood door; and everything in-between! Whether your project involves a garage door for a new home, replacing an existing garage door, closing in a carport or an insurance claim – we have the door, and expertise, for you! All our products offer extensive comprehensive warranties. We have an extensive selection of Steel Insulated doors; including products from Clopay, Northwest and Steelcraft. For a brief product description and photo examples, please visit out Photo Gallery, or visit our newly expanded showroom. You can browse through our photo albums or see our full size door displays. We also offer “take home” colour samples to assist you in the colour selection process. Our showroom is open six days a week (Monday to Friday 8 am to 5 pm and Saturday 9 am to 1 pm) and it features many full size display doors, including a working door and openers. 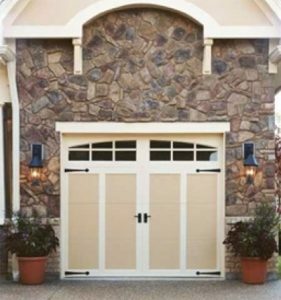 Harbour Door Services specializes in the replacement of older garage doors, which may require low headroom track, or other specialty hardware. Harbour Door has the solution to all your needs.